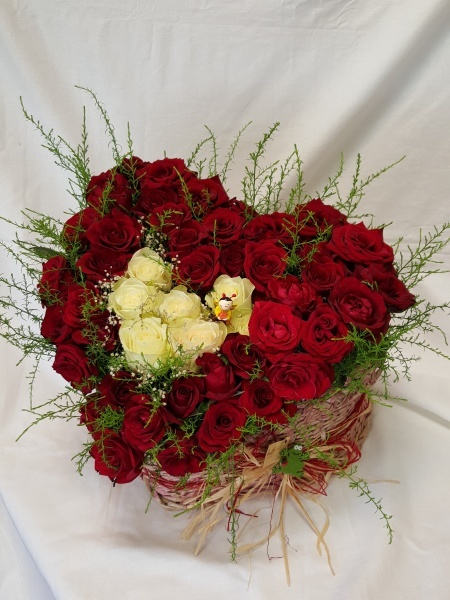 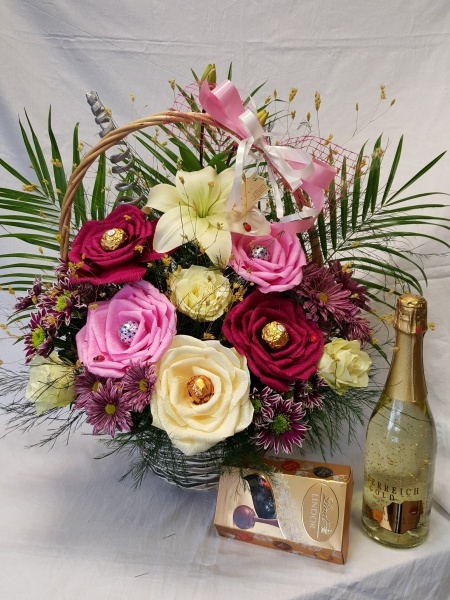 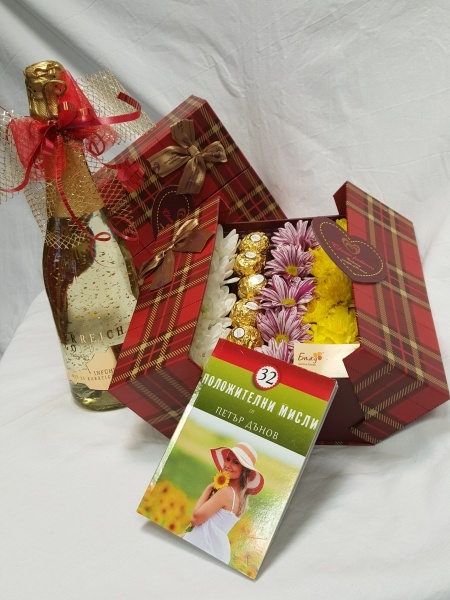 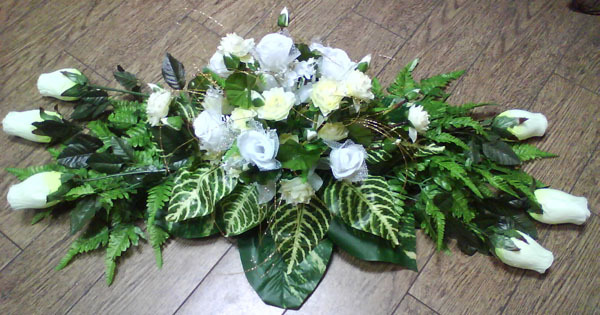 Lilies, 9 roses, chrysanthemum, gipsofila attached by a thin ribbon. 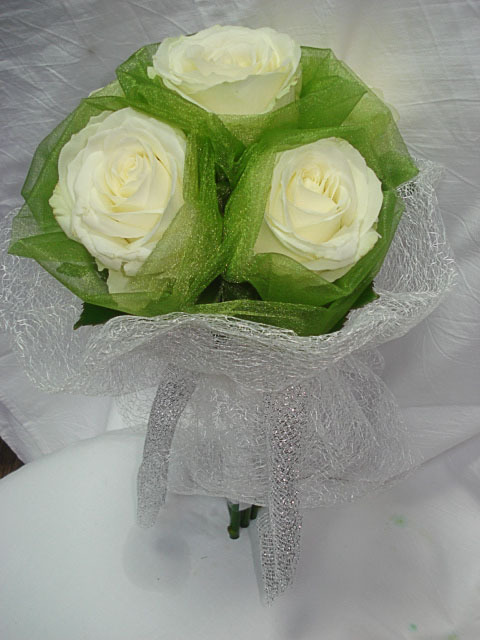 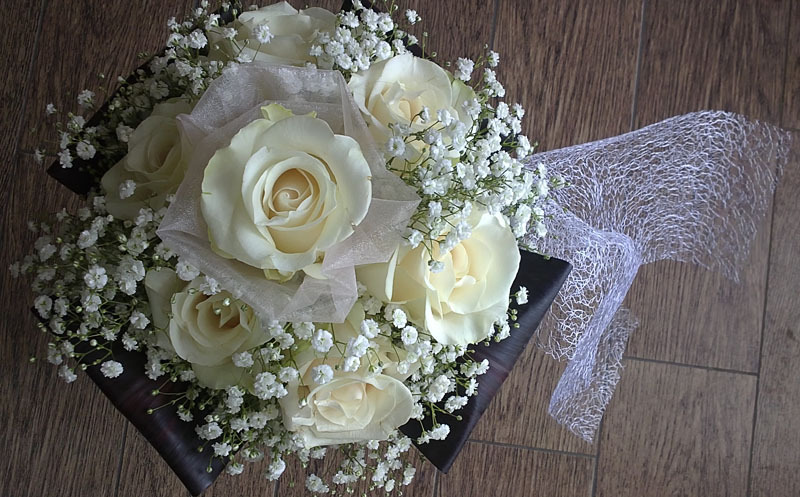 Bouquet of seven white roses and many gipsofila that stand out well against the foliage. 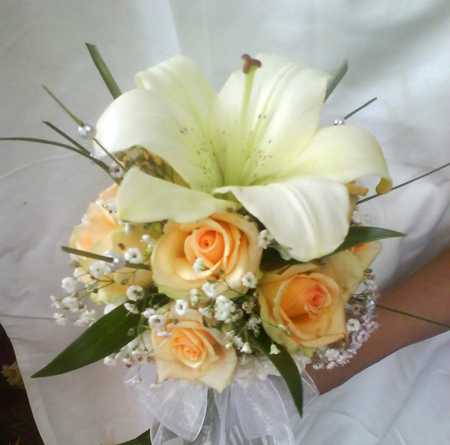 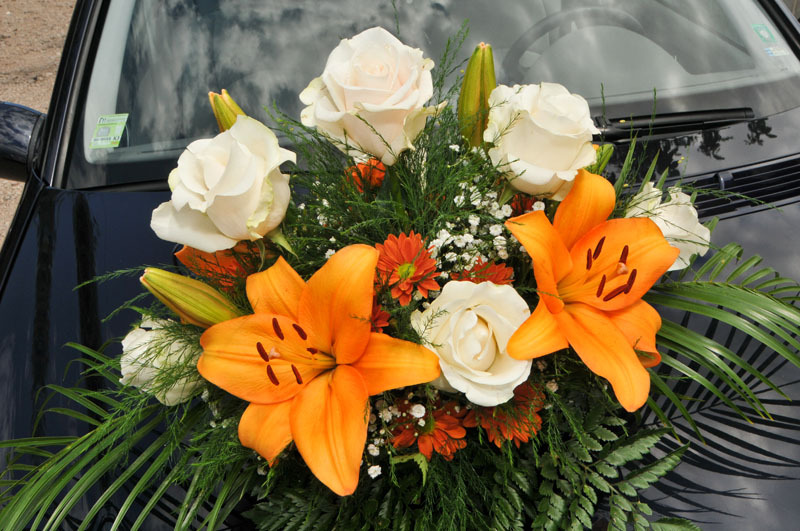 Wedding car decoration made from natural flowers - lilies, roses, greenery and gipsofila. 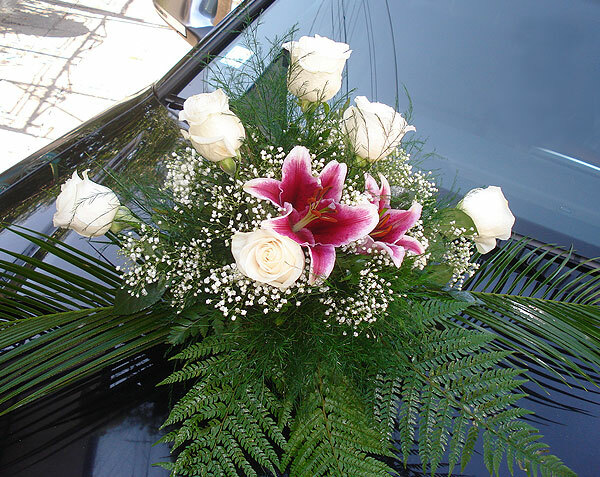 Wedding car decoration made of artificial flowers. 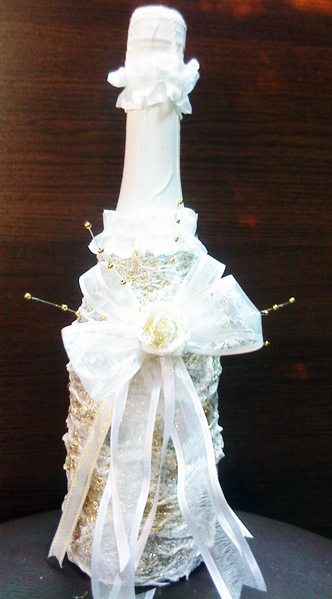 An attractive way to serve up at wedding rings. 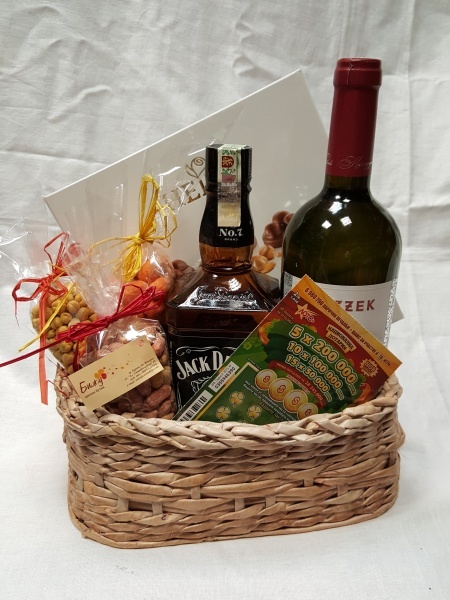 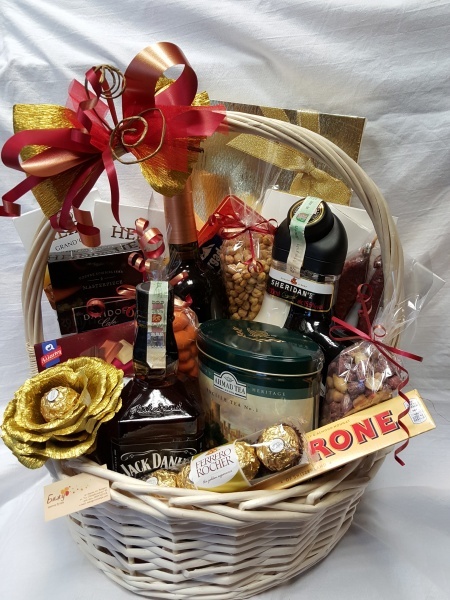 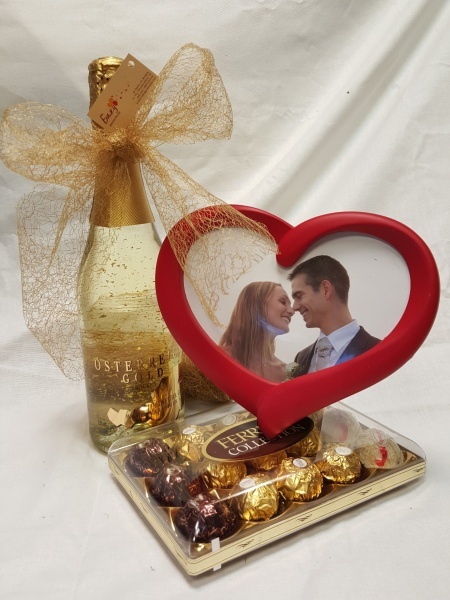 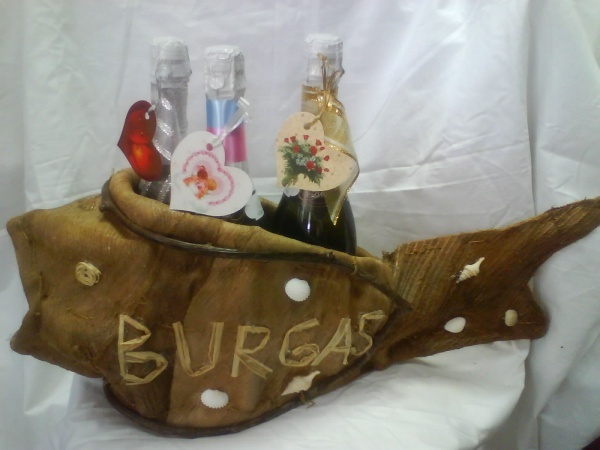 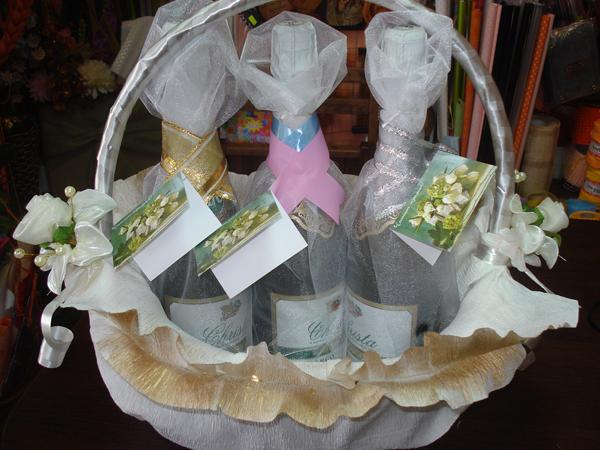 Original gift for newly-weds with more original wishes. 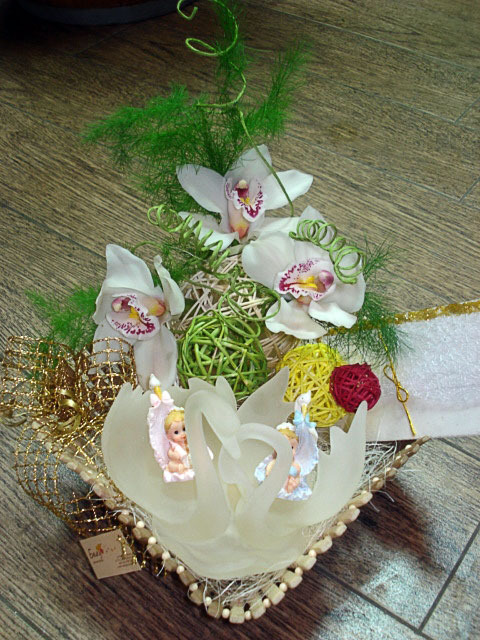 Do not hesitate to make them fascinated. 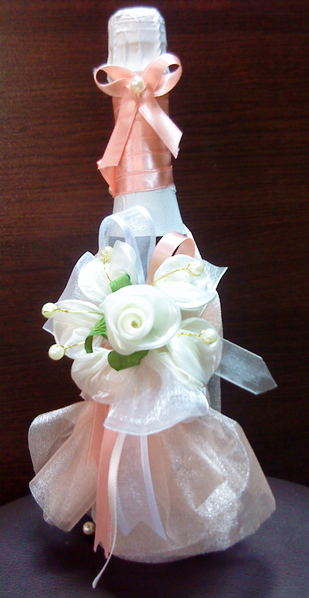 Bottle of champagne in white and pink. 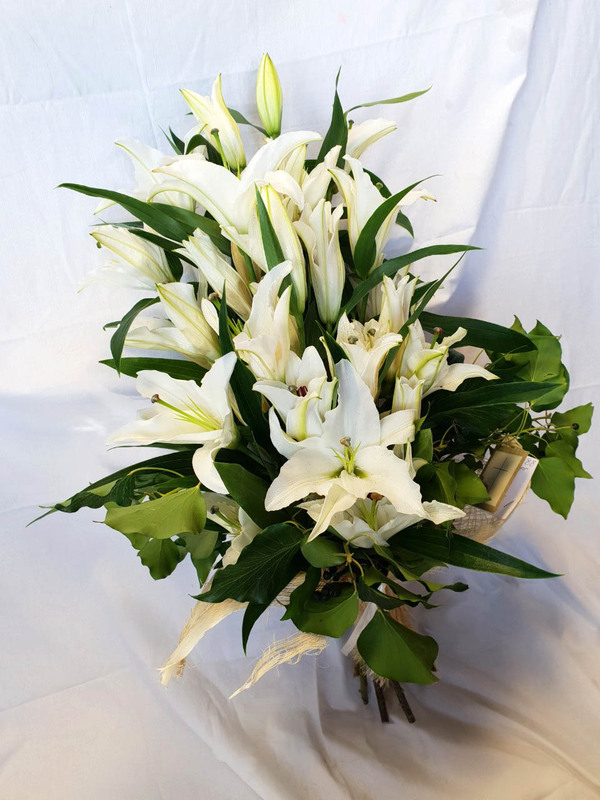 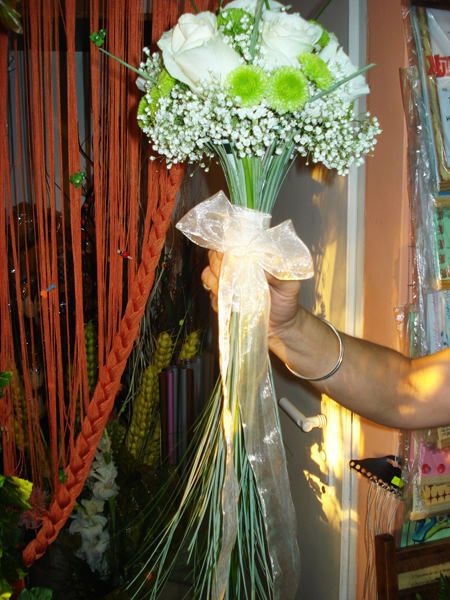 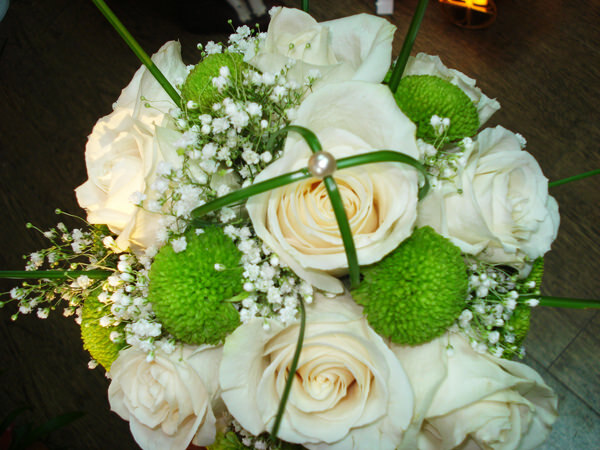 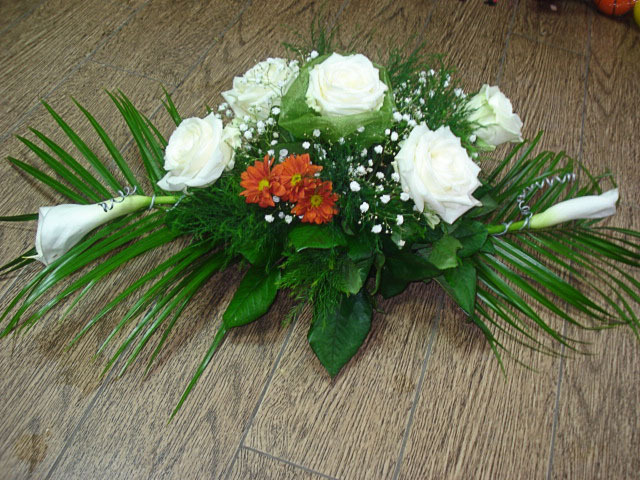 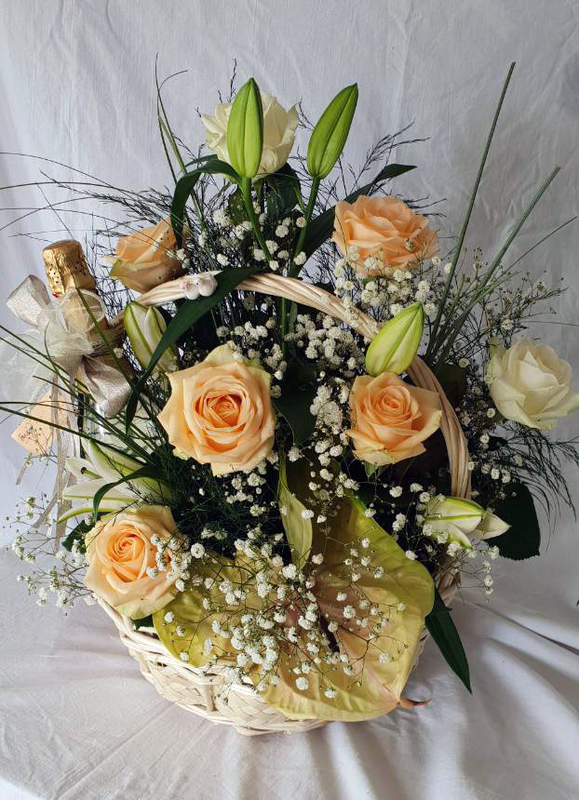 Flowers for your wedding guests will shine with all its beauty. 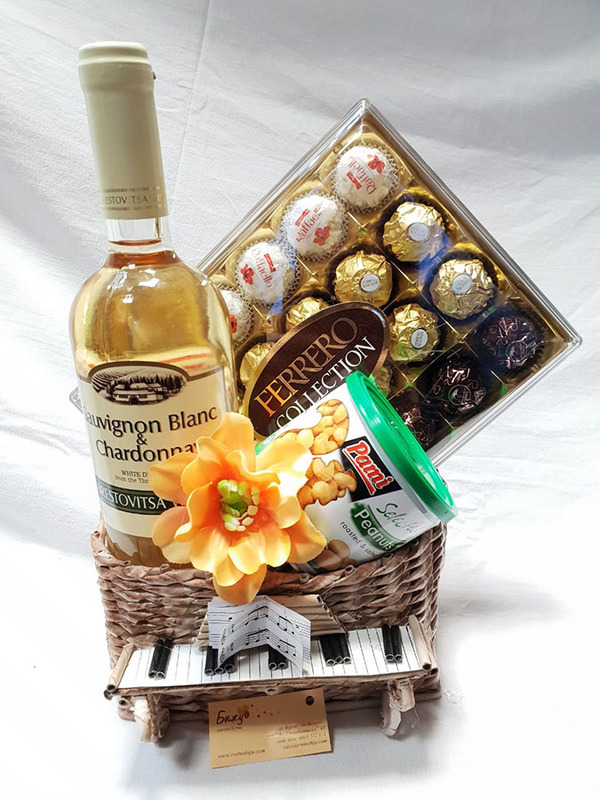 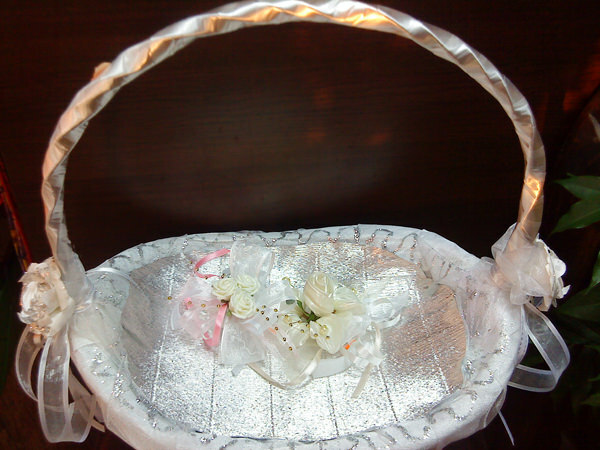 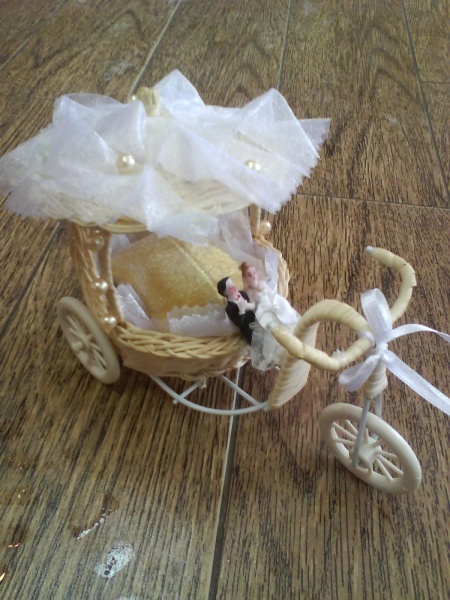 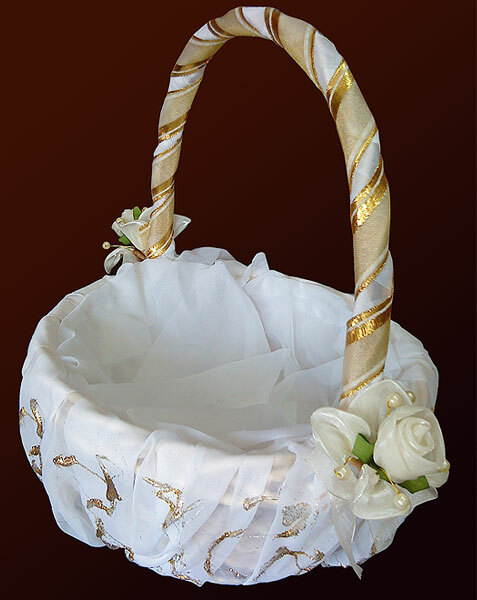 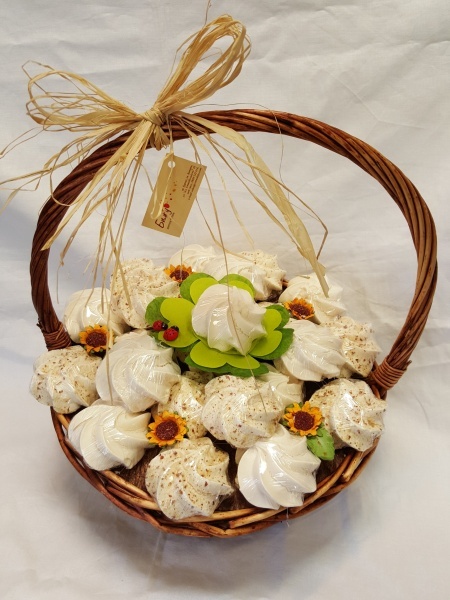 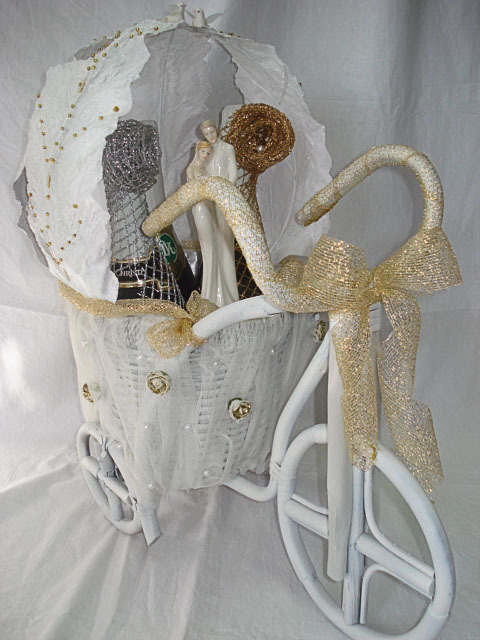 Wedding basket with organza, hand-painted. 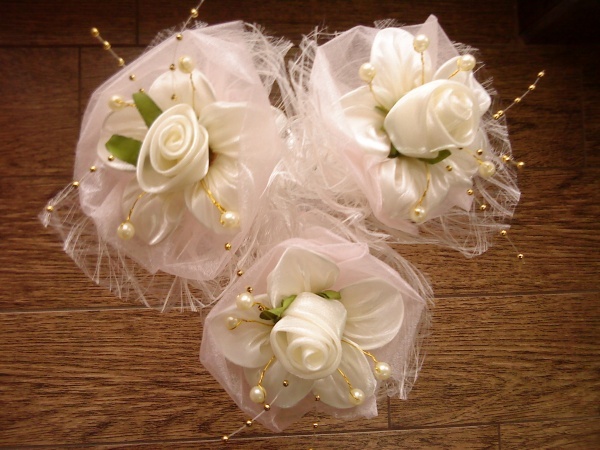 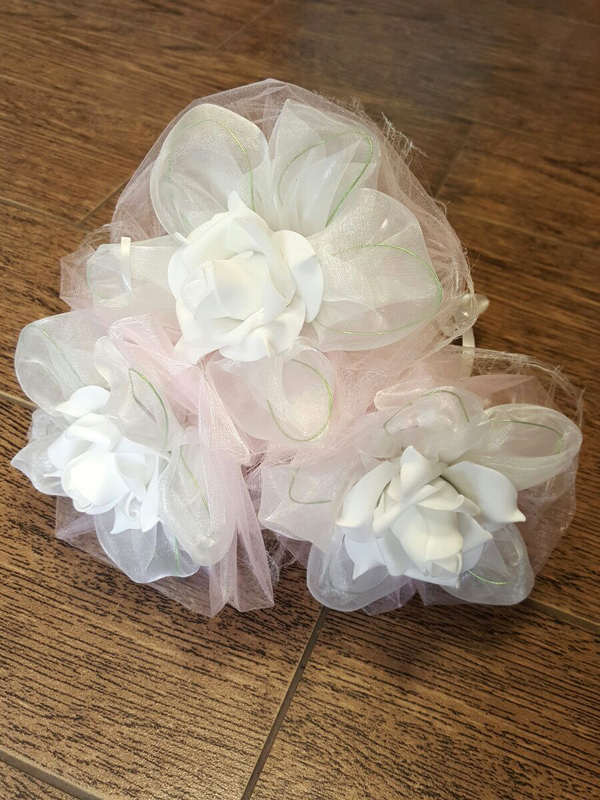 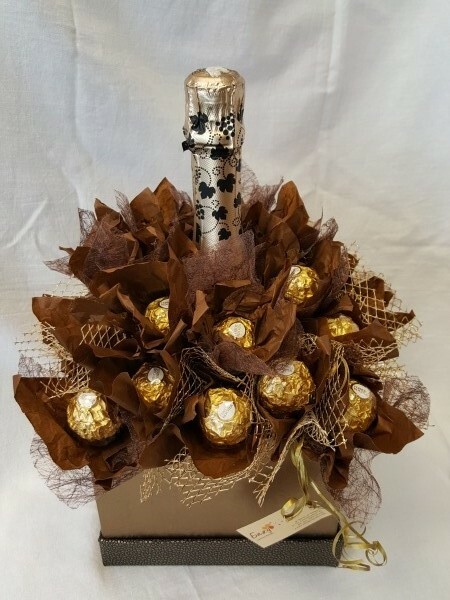 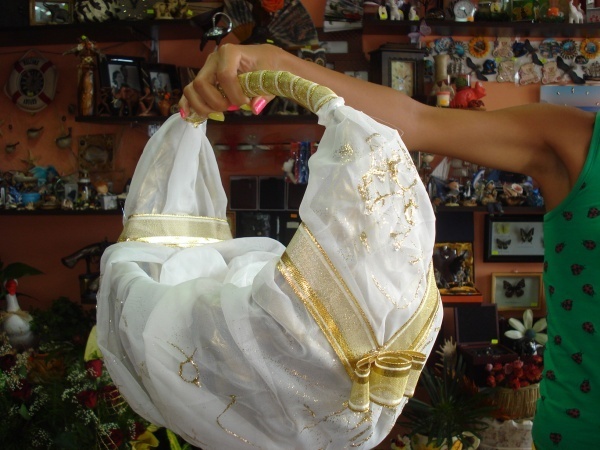 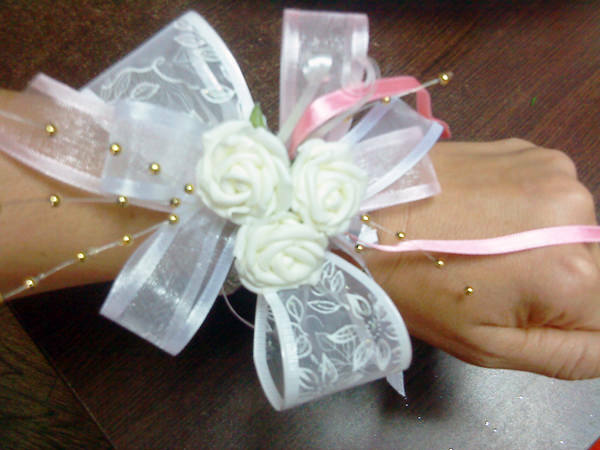 Beautiful decoration for your wedding bridesmaids.